AccessData Group (AD) has pioneered digital investigations for more than twenty years. The company has grown to provide a family of solutions that enable digital investigations of any kind. 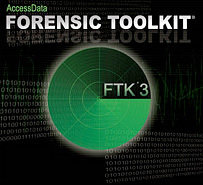 AD’s flagship product, Forensic Toolkit® (FTK®) is recognized around the world as the gold standard in computer forensics software. This court-validated digital investigations platform delivers cutting-edge computer forensic analysis and leverages dtSearch to enable forensic examiners to zero in on relevant evidence. For more information on AccessData, please call 1-800-574-5199 or (801) 377-5410, email sales@accessdata.com or visit AccessData online at www.accessdata.com.